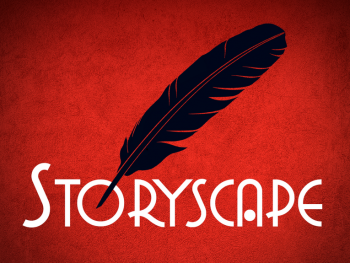 Fancy a shot at the Storyscape RPG? Would you prefer science fiction, fantasy, Old West, or something else? Slabtown Games is about to bring its Storyscape tablet-based tabletop RPG system to Kickstarter. Yes, that is what you think it is: a game where all the prep work is done on the device, but the game is face-to-face. Remember all those stats you had to worry about, the monster mechanics you had to memorize? Forget 'em. History. Done. Well done in fact, like a hobbit after an unsuccessful dragon hoard burglary. All the game needs is for you to turn up on time. Pizza would also be nice. It's a pretty simple idea.Storyscape lets the Keeper design an adventure, or buy one off the rack, in any style, whether it's sci fi, fantasy, or something else. The players get to design their own characters, perhaps choosing to keep it simple with a standard template, or filling in every detail on their sheet. Miniature design is the next step. Then they all get together on the appointed day. Their tablets take care of the rest, and that includes mapping and dice rolling. It can even get tricksy, with fog of war that hides map information from some of the players. That means one character sees the room from his perspective, while his ally sees what he does not; a goblin, say, about to plunge a dagger in his back. It's even got a cash system, allowing people both to buy content, and to sell content to others. Or, if the players are feeling generous, they can bung a few bucks in the Keeper's tip jar, to keep things running smoothly. Maybe even to pay for the pizza. Extra mushrooms, by the way. Just saying. This one's due to hit Kickstarter in December, and if you want to know more, head over here.